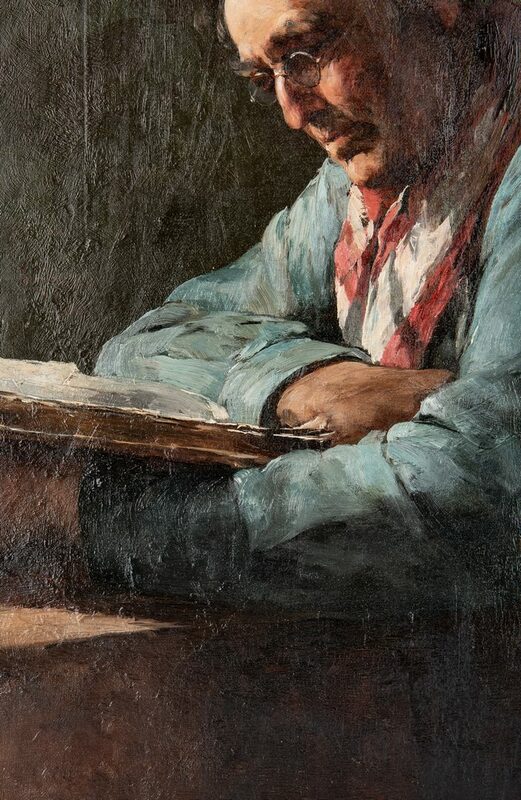 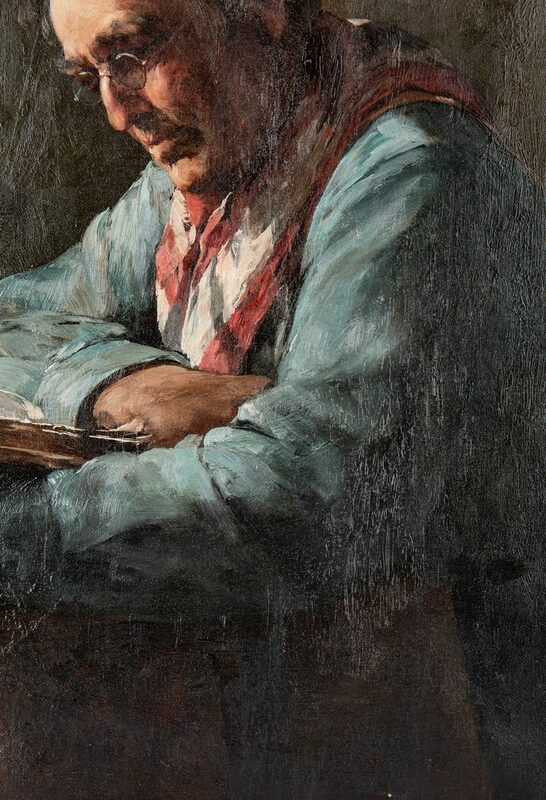 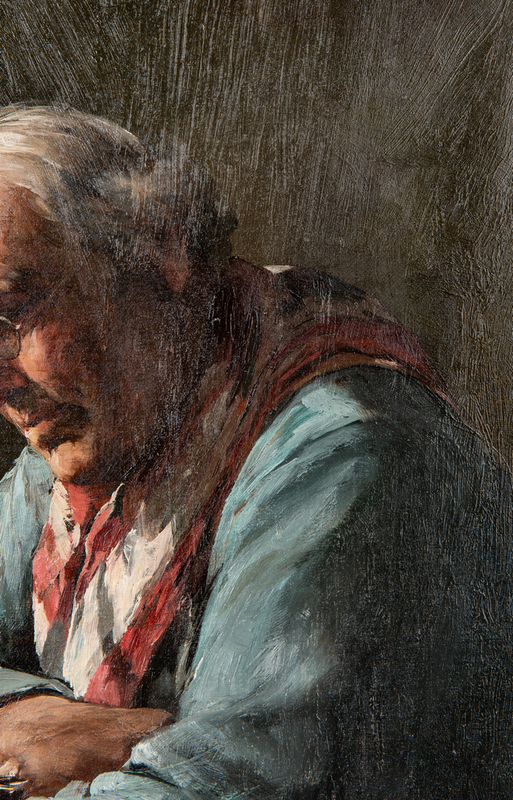 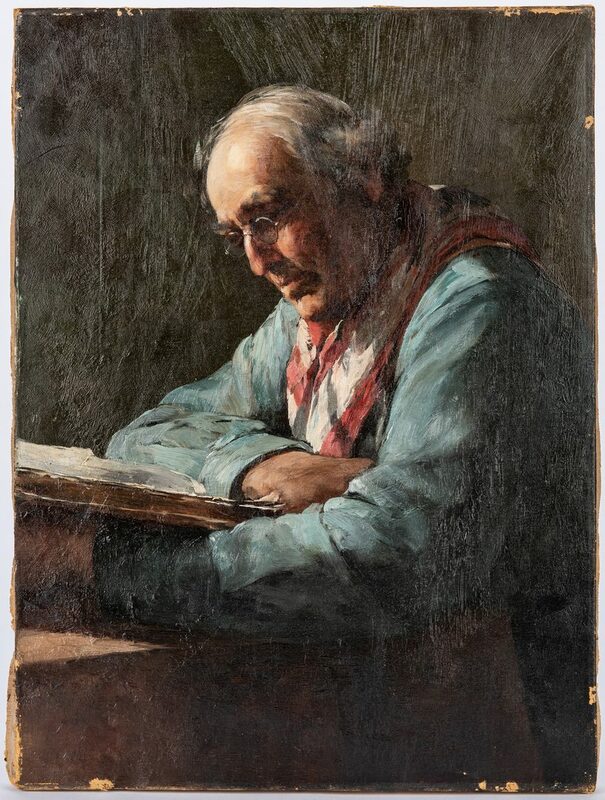 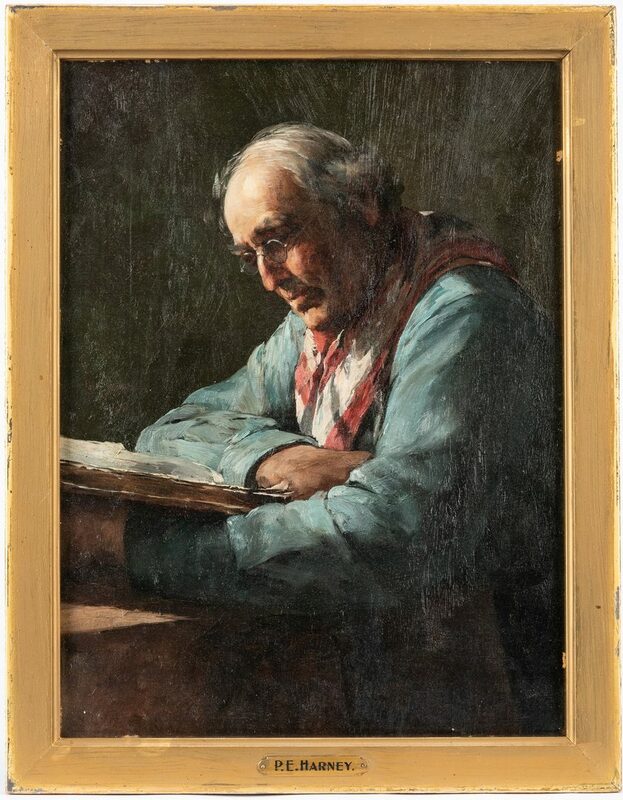 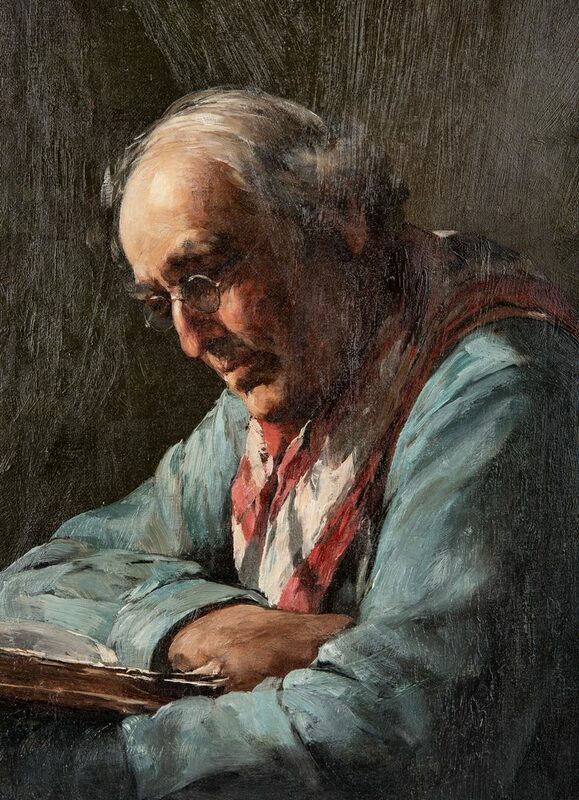 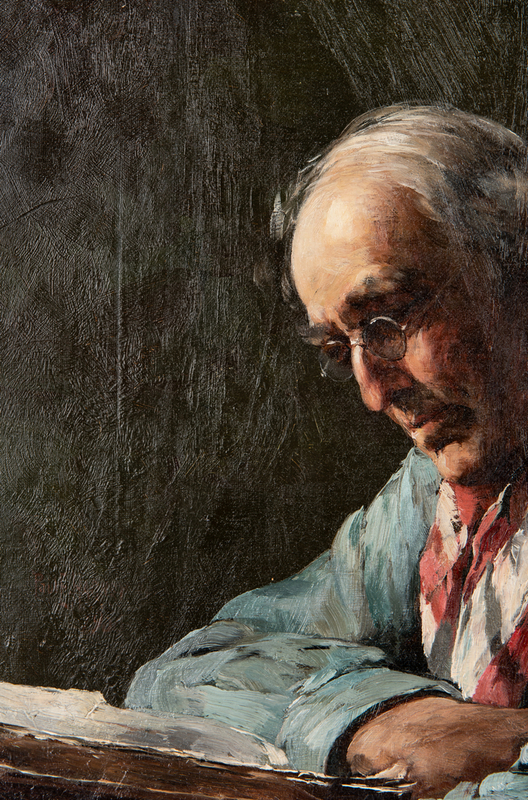 Paul E. Harney, Jr. (Illinois, Missouri, 1850-1915) oil on canvas portrait depicting an older gentleman wearing a blue shirt and a red and white kerchief reading a book. 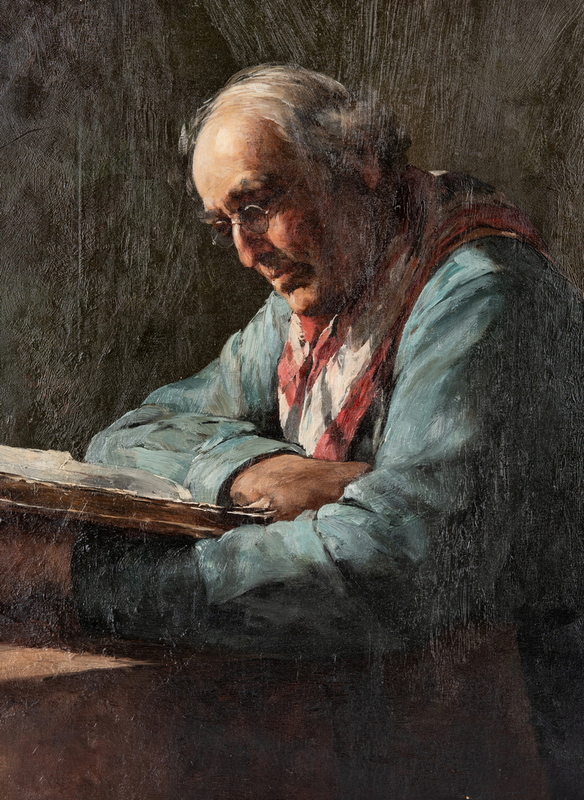 Signed and dated left mid-margin "Paul E. Harney '90". 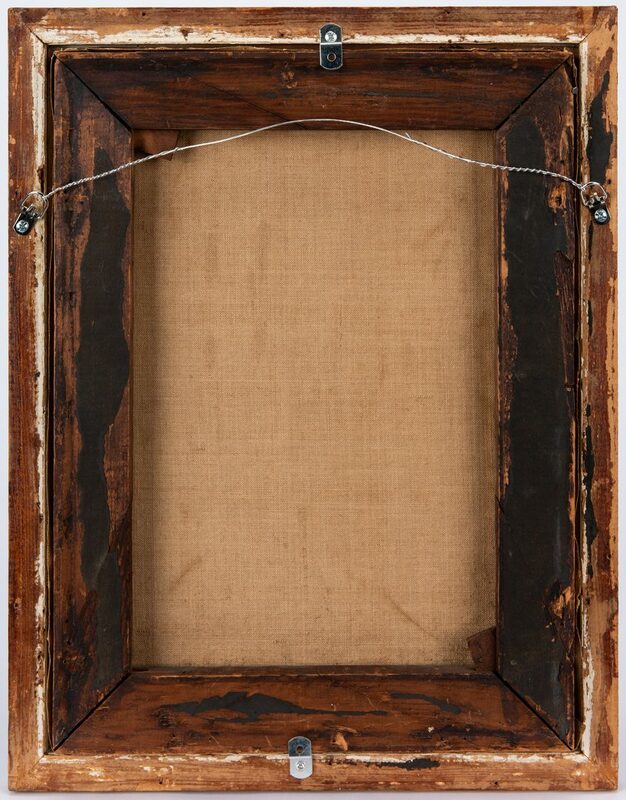 Housed in a simple gilt wood frame with artist's placard lower frame edge. 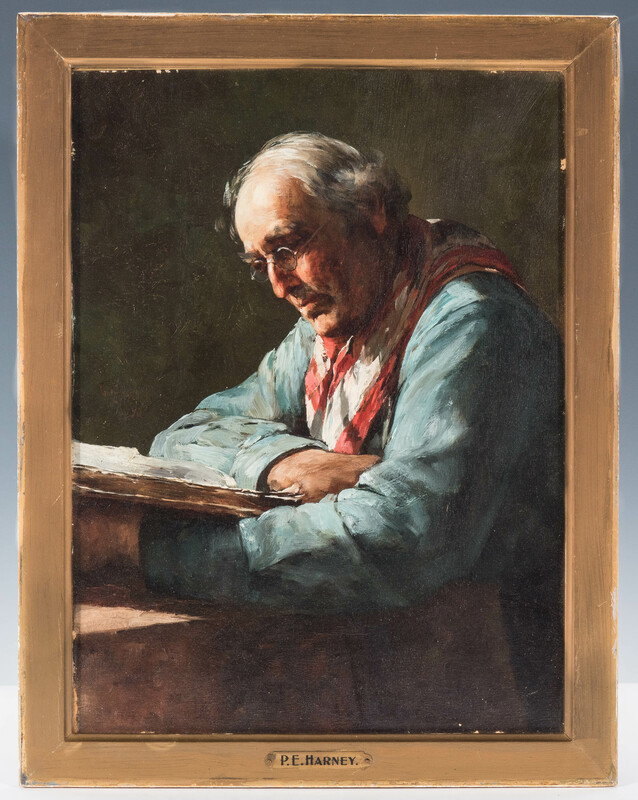 Sight – 15 1/2" H x 11 5/8" W. Framed – 18 1/4" H x 14 1/4" W. CONDITION: Painting housed under glass. 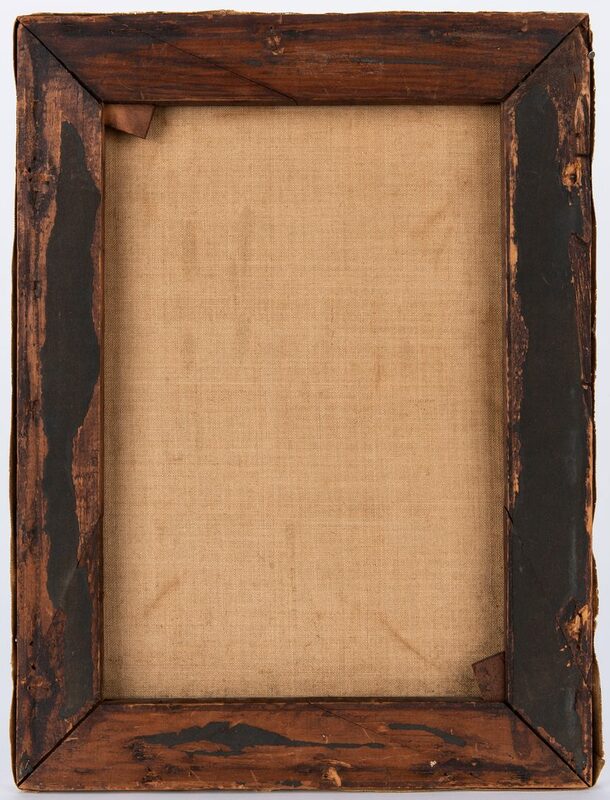 Some areas of paint losses to the perimeter, rubbing to the edges of the gilt frame.